I just wanted to wish all my visitors a very happy Thanksgiving and I hope you’re spending quality time with your friends and family. However, I know a lot of you are probably getting ready to go wait in line at your favorite retail store to get your hands on those crazy Black Friday deals! While thinking about that, I decided to look into how this whole craze got started. This is consumerism at its best! Why Black Friday? Shouldn’t it be called Green Friday because of all the money these stores make? While that does sound logical, the real reason for the color black is due to the old traditional way of keeping books. When a business was calculating expenses and profits in their financial books, they used red ink for any loses or expenses and used black ink for all the income and profits. In today’s retail world, prices are extremely competitive and just to stay afloat (especially when competing with online vendors), stores often lower their prices below cost and this causes the company to lose money. In fact, most of the year, all those sales you see will usually force a company to take a hit on profit in hopes that they win you as a customer. What this means is that it’s not uncommon for a company to be “in the red” through most of the year. It’s the holiday shopping period that is responsible for bringing these companies back “in the black” in order to make a profit for the year. And thus we have Black Friday! Other explanations have explained Black Friday to mean a day of catastrophe. This isn’t far from the truth given the great lengths that people will go to in order to get the sale items. People have been seriously injured and even killed during these “rushes”. So why the day after Thanksgiving? During the late 1800’s and the early 1900’s, there were a plethora of Christmas parades that happened on Thanksgiving. These parades were put on (or sponsored by) department stores of the time and used as a method of advertising for the store. Year after year, more and more people turned out to see Santa Claus coming down the street all while the parade’s sponsor was spewing ads right in your face. In time, the day after Thanksgiving became the official start of the Christmas shopping season. The idea of Santa being at the end of the parade was simply to convey the image that Santa was just around the corner. This led to stores following a rule of tradition that wouldn’t allow them to start advertising until the parade was over (essentially the next day). 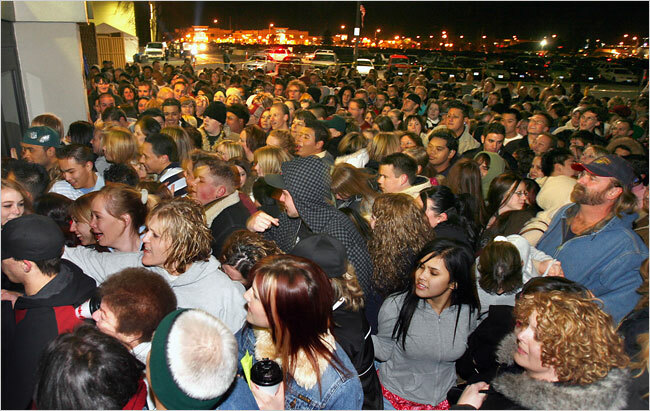 A little known fact involves the changing of Thanksgiving to allow for a longer shopping season. President Lincoln started the official Thanksgiving in 1963. While it is true that Thanksgiving originated with the Pilgrims, it wasn’t an official holliday and it didn’t even have an official date. It was simply celebrated randomly over the centuries and in many years, didn’t even occur. Lincoln established that Thanksgiving was to take place on the last Thursday in November. This all changed in 1939. There was a time when it was considered bad form to display Christmas decorations before Thanksgiving and it was thought that due to the timing of Thanksgiving, retail sales were adversely affected. 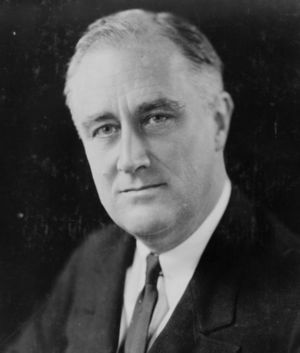 Franklin D. Roosevelt decided that Thanksgiving should be moved to the second-to-last Thursday that year, putting an extra week of Christmas shopping into the season and Franksgiving was born. This change caused a major upset with many U.S. citizens due to the changing of holiday plans among other things. Throughout the next 17 years, Thanksgiving was celebrated on either the original date or the new one or in some cases, both! In 1956, Texas was the last state to change their Thanksgiving date back to the last Thursday of November. After all was said and done, no statistics have ever shown that the date change increased retail sales as intended. The whole point of this day is to be thankful for the things you have in your life. Whether this be simply that you’re alive or that you have a great group of family and friends that love you, it’s nice to have a holiday to reflect on how great a country we live in. I’m thankful for all the opportunities I’ve had so far in life and in regards to this website, I’m thankful for the many people that join me each day by reading my articles and helping to further the success of Ledfrog.com. ← Is the AT&T Unlimited Data Plan Coming Back?